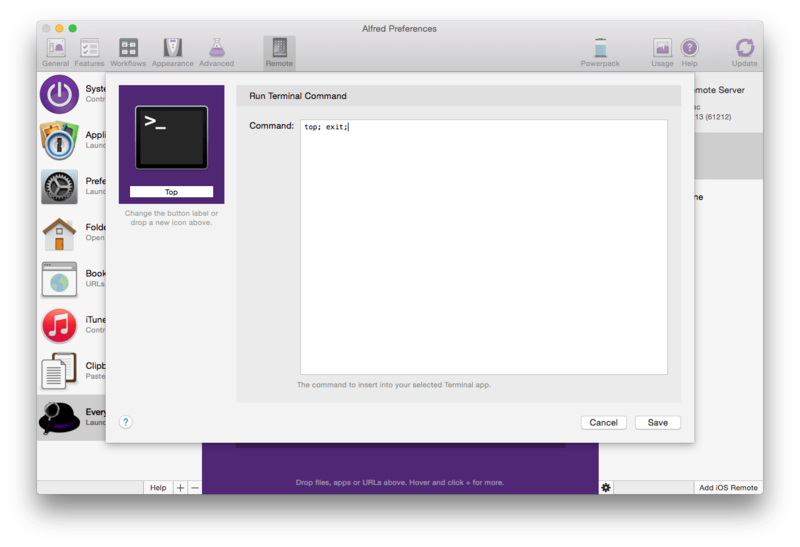 You can run Terminal commands from Remote, launching the Terminal app on your Mac with the command you've entered. Add the "Run Terminal Command" object to your Remote page and type in your Terminal command. To create more advanced actions, take a look at Workflow Triggers.